The Cooking Photographer: Tuna Noodle Casserole with Leeks and Fresh Dill. Fabulous even without Tuna. Join me for more fun on Facebook! 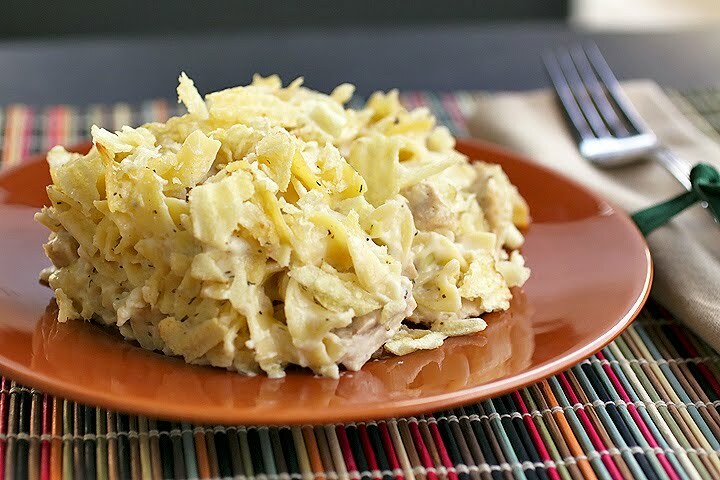 Tuna Noodle Casserole with Leeks and Fresh Dill. Fabulous even without Tuna. I don’t know who this Molly Stevens character is, but she created a seriously good tuna noodle casserole for Bon Appétit. I think I’ll go try more of her recipes, if I ever take a break from making this casserole. This recipe is everything tuna noodle casserole should be. Creamy with Gruyère, herby with dill and celery seeds, oniony from leeks and crunchy salty with potato chips. Ok, so maybe herby and oniony aren’t real words, but you get the picture. Oh, and lots of soft carby noodles of course! Carby is a word right? Heck, you could leave out the tuna and it’d still be fabulous. Seriously. • Butter 8x8x2-inch glass baking dish. Melt unsalted butter in heavy large saucepan over medium heat. Add leeks and celery seeds to saucepan; sprinkle lightly with coarse kosher salt. Cover saucepan and cook until leeks are tender but not brown, stirring often, about 8 minutes. Add flour; stir 1 minute. Gradually add milk and half and half; simmer until mixture thickens slightly, stirring often, about 5 minutes. Stir in lemon juice. Season leek sauce to taste with coarse kosher salt and pepper. Remove sauce from heat. • Meanwhile, cook egg noodles in large pot of boiling salted water until tender, stirring occasionally. Drain noodles, reserving 3/4 cup (or a little more) noodle cooking liquid. Transfer noodles to large bowl. Pour leek sauce over noodles. Add grated Gruyère cheese and dill and stir to blend; add reserved noodle cooking liquid by tablespoons until mixture is moist and creamy (about 8 tablespoons). Fold in tuna. Transfer to prepared baking dish. DO AHEAD Can be made 1 day ahead. Cool slightly. Chill uncovered until cold, then cover with foil and keep refrigerated. • Preheat oven to 375°F. Bake noodle casserole, covered with foil, until heated through, about 20 minutes if freshly made or 30 minutes if chilled. Remove foil. Sprinkle crushed potato chips over and continue to bake, uncovered, until top is golden brown and filling bubbles, about 10 minutes longer. Serve hot. Recipe by Molly Stevens @ Bon Appetit, March 2010. Picture by Laura Flowers. Super yummy. Today I'm feeling like is not fair that I do not know how to cook well. I love tuna noodle casserole, unfortunately my husband does not but I might be able to convince him otherwise with the addition of Gruyere and leeks. What a wonderful combination! I have been asked that before and have been wondering what you all would like to know? Which parts do you need the most help with? I'd love to help so please let me know. My mom used to make tuna casserole growing up and I always hated it. It did not, however, resemble this at all. Gruyere and leeks? Sold! What a great version of the tuna casserole. I love the cheese and dill, and that you can make it in advance for a busy day! I love this version! I never would have thought about it with the leeks and dill. I have some fresh dill in my little herb garden outside. I must try this! Hmm... 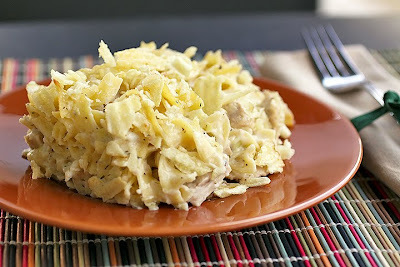 I have these horrible memories of tuna noodle casserole, but my hubby loves it. And, he asks me to make it all the time. I usually try to get out of it ("oh no, there's no tuna in the house" or "Looks like we're out of egg noodles" as I stash them in the back of the pantry where he'll never find them.) Now I might have to surprise him and actually make some tuna noodle casserole. How bad can it be with leeks and dill? I love those ingredients! I MUST make this! It sounds a million times better(and more sophisticated) than the tuna casserole I have made in the past, and it has my husband's favorite cheese in it:) Will you just publish a cookbook? My sister hates casseroles but I'm absolutely making this and forcing her to taste it. It sounds divine!